← STOP DIABETES, Part B: This is a Reprint from an earlier Newsletter that did not make it into our Blog. This Series on Diabetes is one of the most important Health issues we’ve written about. Dr. Fuhrman’s book gave me HOPE again. Please forgive us for missing our April Newsletter. We got real wrapped up in the last couple of trips to completely empty our California property and complete its sale. What I’m realizing is I’m tricking myself into writing a book one month at a time as that’s what I need to do in the near future, combine all of these Newsletters into a book about Obesity. Greenhouse project, which is built but still empty, I continue to write about health and nutrition, which I never would have gotten into so deeply if it weren’t for Aquaponics. When all is said and done, they are intrinsically linked. For those of you who are waiting to see our Aquaponics System get installed in our Greenhouse, don’t despair it’s coming soon. 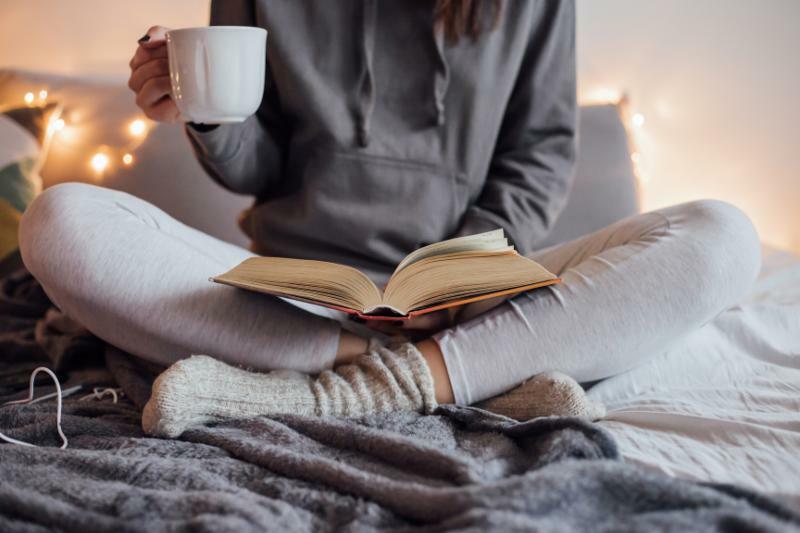 At the end of the day, maybe it is these Newsletters about Health & Nutrition that are the most important especially if even one person is able to save themselves from chronic illness or even worse, death, due to lack of knowledge about these things. Here’s one more Newsletter about the killer, Diabetes. If it can kill one less person because of the information in this Newsletter, my time has been well spent. We repeat for the 3rd time! This is War! And Diabetes is the Enemy. It must be identified, dealt with and then conquered! This 3-Part Newsletter Series, A, B, C is about how to wage this battle, and it is Part 19 of our larger Series on Obesity In AMERICA! We missed our deadline for an April Newsletter so we’ve combined it with May’s Newsletter. To recap where we’ve been regarding the extensive subject of Diabetes, our January Newsletter was about recognizing the symptoms, understanding what Diabetes actually is, getting familiar with a commonly prescribed drug for Diabetes, Metformin, and introducing the first really scary killer aspect of this disease, Kidney failure! February was all about our Greenhouse project so we didn’t get to Part B of our Diabetes Series until our March Newsletter. That one got really scary when we discovered that Diabetes also causes heart disease and blindness. 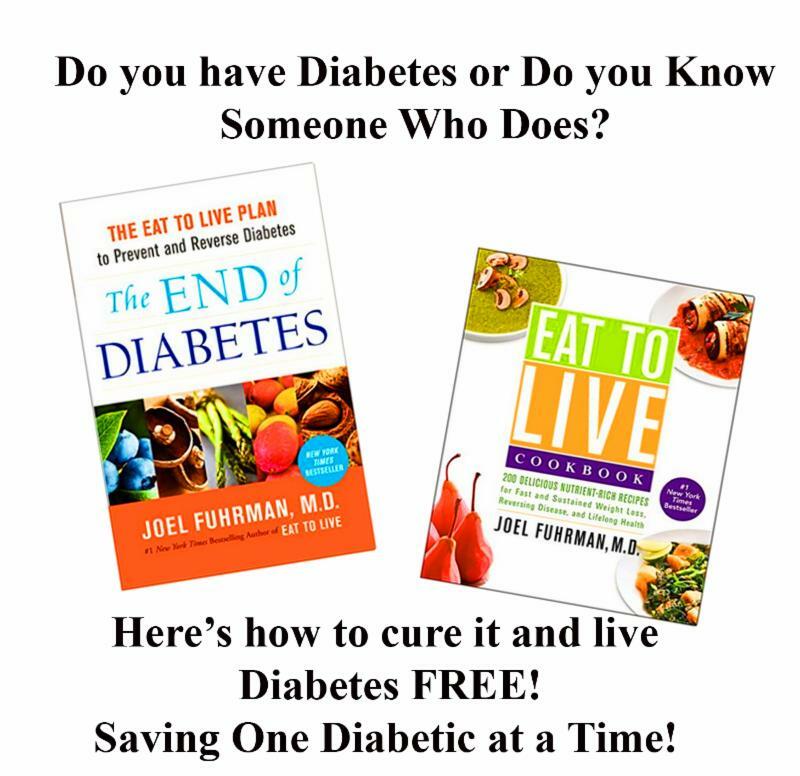 Now we’re going to tell our personal story of how we’re curing Diabetes using Dr. Joel Fuhrman’s books, “The End of Diabetes” and “Eat To Live“. The cover picture of the symbolic Diabetic who is fading away as he reaches for help is such a perfect depiction of what happens with this debilitating disease. Its victims quite literally fade away and then finally die due to some of the most severe complications of any other disease. Diabetes has been found to be the cause of severe heart disease, kidney disease and blindness. This isn’t a disease to take lightly or mess around with. Only recently has it been recognized as the Number 3 killer of Americans because it’s been hiding behind and actually the cause of heart and kidney failure. What’s more telling is it often hides even from its victims who have no idea they have Diabetes. They attribute its symptoms to age, lack of sleep, being over weight, stress or some other seemingly more benign disorder. Once it progresses to a level that can no longer be ignored and they go to a doctor who checks their blood glucose levels, they discover they are in a full-blown or sometimes, if they’re lucky, a Pre-Diabetic state. Identifying this disease is the first step to healing it, which is why our Headlines on these 3 Newsletters are: IDENTIFY, DEAL WITH & CONQUER. This Newsletter is focusing on the “CONQUER” because it can be conquered with proper Nutrition and here’s where you get the method and the recipes, in Dr. Fuhrman’s books. Before we get into the Conquering part, let’s talk about the “DEAL WITH IT” part, and here’s where our personal story comes into play because we failed to “DEAL WITH IT” when Oliver was first diagnosed with Pre-Diabetes. We just didn’t take that diagnosis seriously. We’re intelligent people, so we’re feeling like we’re not alone in this weird “Lets Not Think About It” behavior, and we believe there’s a whole lot of diagnosed Pre-Diabetics that could avoid going into full blown Diabetes if they dealt with that early Pre-Diabetic diagnosis. We believe that the lack of information about how terrible this disease really is, is the problem here, and perhaps our Health and Human Services Dept. should wage a Diabetes Awareness campaign to help people understand what they’re dealing with or in many cases not dealing with. Dealing with it early is the same as dealing with it late in terms of the ameliorative behavior that has to take place, which means nothing less than a complete change of diet. And there it is! We’ve said it! If you want to cure your Diabetes, you HAVE TO CHANGE YOUR DIET DRASTICALLY. That’s where Dr. Fuhrman’s book, “The End of Diabetes” comes in. It explains what’s wrong with our standard American diet and how to modify it so it stops killing us (and everyone else in the world who have adopted our diet) by the thousands. Before I was told about Dr. Fuhrman’s book and after Oliver had been diagnosed with full-blown Diabetes, we were still not making any drastic dietary changes. We thought we were eating healthy. All of our vegetables were organic. We used Almond Milk in place of regular milk. We were doing our best to be Gluten free. We ate a lot of the veggies we grew in our Aquaponics System. However, to save time in our busy life, we started buying a lot of pre-prepared foods. Yes, they were organic too, like Amy’s Non-Gluten Pizza and her Ravioli Bowls but the very thing that had to be eliminated, carbohydrates, were still in our diet in spades and Oliver’s glucose numbers continued to rise (not that we were measuring them at the time). Oliver had been prescribed a common Diabetic medication, Metformin. So at a whole level, we were letting the medication take care of everything. But there was a problem. Once he got up to the prescribed dosage, he found the side effects to be intolerable so he quit using it. We went through a few weeks with him not taking Metformin and us not doing anything different with our diet. Then he’d try Metformin again taking less of it. The side effects kicked back in and became intolerable once more so he quit again. We rode this Metformin teeter-totter for several weeks until it became obvious that the most common and best drug for Diabetes wasn’t working for him. I felt helpless. I didn’t feel that Oliver was taking his Diabetes seriously, and I didn’t know what to do so I wrote a Newsletter, the January Newsletter, about Diabetes. My hope was that when Oliver read it, he would start taking his disease more seriously. What actually happened is I woke myself up. When I arrived at the research about how Diabetes destroys kidneys, I was shocked and got really scared. Now, I was shocked, scared and helpless. Then I remembered a Trainee at the Biocybernaut Institute had told me about a Diabetes book that had the word “End” in the title. When I went back to do another training, I found the sticky where I had written the name of Dr. Fuhrman’s book and I ordered it. A couple more weeks passed before I dedicated a day to read “The End of Diabetes”. It changed everything. 2. Too much protein causes heart and kidney damage! You have to accept the first premise to understand this second one. If we’re meant to eat natural vegetation and not meat then heavy meat intake will cause problems. Let’s think about this for a minute. Meat eaters like Lions and Dogs have fangs for killing and eating meat. Except at Holloween, we don’t have fangs. To save a Diabetic, we need to re-educate ourselves and step out of the American Meat and Dairy Associations’ hype that lots of milk and meat are good for us. We simply are not calves, which cow milk is meant for, and we are not lions, which need meat. We are primates and all of our fellow primates do NOT eat meat! The studies quoted above are telling us what we need to do. If you have Diabetes or know someone who does, you can’t afford to ignore these studies. Dr. Furhman’s book was a real eye-opener. Now, as I write this Newsletter, I realize that Diabetics are actually reluctant proselytizers who are signaling what’s wrong with the American Diet. Their bodies have gone into a diabetic state that has been caused by insulin resistance, and too much animal protein, sugar and unhealthy carbs exacerbate that insulin resistance. The American diet is wrought with those three things that turn Diabetics into heart and kidney patients who are sacrificing their lives to be the canary in the coal mine telling us that something dire is wrong with our eating habits. But they can all be saved and, in turn, they can save us all. This is where we get into the CONQUERING part of the phrase, IDENTIFY, DEAL WITH & CONQUER. I not only had “The End of Diabetes”, I also had ordered Dr. Fuhrman’s “Eat To Live Cookbook” so I had a resource to help me step into this whole new world of Nutritional health that Dr. Fuhrman calls being a “Nutritarian”. Nutritarians eat for the nutritional quality of every calorie rather than for tastes, customs, habits or addictions. It’s a whole new eating philosophy. Let’s see how Diabetics who become Nutritarians are CONQUERING their disease. I gave Oliver a crash course on Dr. Fuhrman’s “The End of Diabetes” book and explained what it meant to be a Nutritarian. I also vowed to not only support him but to do the program right along with him, and together we decided to go for it. I created a shopping list and off we went to the grocery story where we loaded up on vegetables, nuts and beans. According to Dr. Fuhrman, it’s a “Greens and Beans” diet. This new direction meant the end of breakfast and dinner out, which we were doing a lot of during the last year while making our big move from California to Arizona. It also meant I was going to be cooking a lot more and doing it all from scratch. Our instructions had us starting at the Strictest Level of Nutritarianism until we got his glucose numbers down. Two months later, and we’re still at the strictest level, and his numbers are way down. We’ll be able to move to the less strict Level when he registers 100 or less every morning. So far he’s done that 3 times but it isn’t consistent enough to move to the next level. The first time we recorded Oliver’s morning glucose level was a year and a half ago. It was a frightening 367. I wrote about it in a Newsletter and created this not so funny cartoon image to mark the occasion. Normal morning glucose should be no more than 100. His improvement is fantastic; but it’s only working because we’re staying on the Strict Level of the diet religiously. On January 1st of this year, 2017, Oliver did a random recording of his morning blood glucose level. It was 269. After being a Nutritarian for the month of April, Oliver’s May morning glucose numbers that he’s recording daily in the log that comes with his ReliOn Glucose measuring device are showing from May 1 to present day (May 16th) as follows: 110, 104, 110, 110, 108, 98, 107, 94, 109, 104, 106, 105, 107, 100, 108, 101. The program is working! His numbers were 100 and below three times in the last 16 days. Now all we need to do is get his numbers under 100 consistently, and we can move to the less strict level of the diet. So What Do Nutritarians Eat When They’re Lowering Glucose Levels! You’re looking at it, Vegetable Soup! We add Black Beans as we dish up the Soup. This is dinner almost everyday. The soup is cooked from scratch using either fresh juiced celery or carrots as a base along with a low sodium vegetable broth. Then I pile in the veggies like carrotts, mushrooms, onions, celery, zucchini, broccoli, tomatoes and season to taste without salt. The most amazing part of having eaten Soup for two months straight is we’re still enjoying dinner and not really craving the forbidden food like bread, white rice, pizza and meat. I’ve learned to cook up a bigger pot than this to start so it lasts about 3 days. I cook the veggies el dente so they don’t get mushy. We keep the pot of soup in the refrigerator and warm what we’re going to eat in the microwave (of course a small stove-top pan will also work). That way the veggies stay el dente. Along with the soup, we have a salad or steamed vegetable like broccoli. Oil is on the forbidden list so we’ve discovered white balsamic vinegar (Blanco) that is Pear Infused. It’s delicious. We can choose between that and home made oil-less salad dressings from the “Eat To Live” Cookbook. Sometimes I add apples and nuts to the salad. Or we eat the apple and nuts as desert. The added benefit of lowering glucose numbers is also lowering numbers on the body weight scale. Oliver has lost 15 lbs. and I’ve lost 10. So that’s our main dinner. As a dinner variation, we’ve discovered Spaghetti Squash, which is a very interesting vegetable and named for its stringy spaghetti-like interior. The first time I roasted spaghetti squash, I thought what you see in this picture of the actual squash was all the spaghetti I was going to get. I didn’t realize that when you take a fork and dig into the thick sides, it’s all this stringy spaghetti-like food. Top it off with steamed veggies and your favorite marinara sauce and you’ve got something that resembles actual spaghetti. Breakfast is easy because we’re just making protein shakes using plant protein instead of whey protein. Oliver likes vanilla and I like chocolate so we buy both flavors and mix the protein with Almond milk in those flavors too. Notice the Almond milk is “Unsweetened” and the plant protein is organic. Lunch is another vegetable dish. This time it’s roasted veggies. We use our counter top Breville, which is a handy little cooker that is really versatile. I put Low Sodium Vegetable Broth into the bottom of a backing dish and pile in eggplant, tomatoes, zucchini, onions, asparagus, leeks and red and yellow bell peppers and season to taste. We’re realizing we need to feed Oliver more often than three times a day. So we’re planning to add some raw vegetables along with steamed vegetable dishes in between meals. What’s for desert? We’ve turned nuts into add-ons as well as between meal treats. Nuts are an important component of this diet because they deliver the healthy fat that the body and brain need to function properly. You can tell by the size of the bags which are our favorite nuts, Pecans. Not pictured are almonds and walnuts, which we had run out of when this picture was taken. We’ve just added Brazil nuts to the mix. These nuts are raw and unsalted. We pop them into our Breville for a few minutes to roast them a little, which enhances their flavor. Then we eat them warm or break them up and put them on our salads. Berries are some of the less sweet fruits so blue and black berries make good deserts. We discovered Kiwis and were on a Kiwi kick for a while. We combined Kiwis with Blueberries or Blackberries for an after dinner treat. This is a Celery Boat with Kiwi and Blueberries going for a ride. Someone with more of an imagination and cooking skills could come up with a bigger variety of dishes on the Strict Level, but for now this is working great to do the job of lowering Oliver’s glucose numbers. Once we get him consistently at 100 or below, we’ll be able to add other foods. I can’t express how relieved we both are that this Nutritarian program is working to lower Oliver’s glucose levels and keep him out of those severe sugar swings he was experiencing. We truly feel he’s out of the Diabetic woods. He’ll be going to the doctor in the next couple of days, and we’ll get the official report when his doctor’s Nurse Practitioner looks at his A1C Count. The following table provides the percentages that indicate diagnoses of normal, diabetes, and pre-diabetes according to A1C levels. Those with pre-diabetes are likely to develop type 2 diabetes within 10 years, but they can take steps to prevent or delay diabetes by following a Nutritarian lifestyle. We’re the Guinea Pigs here and we’re testifying to the fact that following the Nutritarian diet is way more rewarding than what we were doing, which was nothing and then relying on a drug, which didn’t work. We’ve taken our health into our own hands, taken responsibility for it and changed the game completely. This isn’t a short-term diet. This is a lifestyle change and from our perspective it’s so worth it because we’re no longer rolling the dice hoping Oliver won’t be one of the few Diabetics who doesn’t get heart disease or kidney disease or go blind. We’re insuring a long life ahead for both of us and we’re Saving A Diabetic! A Day of Celebration! We have Proof! It’s Thursday, May 18, 2017, and it’s a day to celebrate! Oliver just got the results of his blood work from his Nurse Practitioner, Mr. Dan Roper, in Show Low, Arizona. Blood work doesn’t lie. According to Mr. Roper, Oliver’s A1C Count is 6.3. He’s gone from full-blown, Type 2 Diabetes with an A1C Count of 11 down to 6.3 in two months! No one has to live and die with Diabetes! Dr. Fuhrman is right! This is a curable disease for every Diabetic who is willing to become a Nutritarian! This is so huge and amazing, I ‘m crying. Please FORWARD this email to your colleagues, friends and family who have Diabetes or whom you believe may be pre-Diabetic. They need to become aware of the dangers of Diabetes and the importance of healthy eating. We can’t make the changes we need to make without first understanding why the changes are so important. We can Save Diabetics and our country with this information. Offer Ends July 25th at Midnight!